Today I have the pleasure of speaking with an incredible guest who will transform your business and your life. 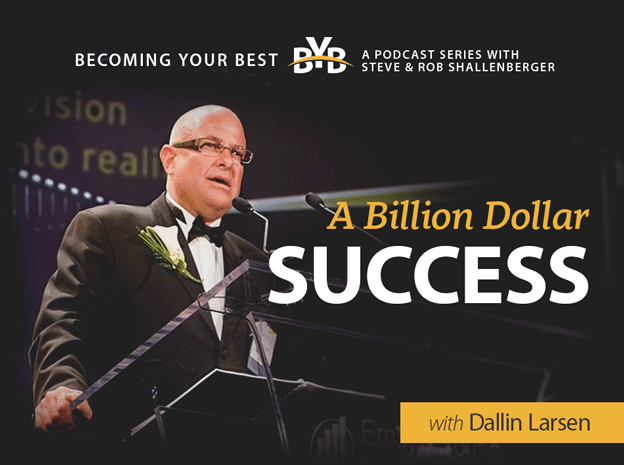 A serial entrepreneur, Dallin Larsen is an inspiration in my life, as well as a dear friend of mine. Throughout his illustrious career, he has created literally billions of dollars in revenue and started countless global enterprises. In his senior year of high school in a rural town in Idaho, as he watched his classmates walk across the stage accepting scholarships and various other awards, Dallin arrived at the realization that he was meant for great things, but his time had yet to come. He found his calling as an entrepreneur and through that rocky road full of triumphs and tribulations he has learned many life lessons along the way.